OneWeb announces its agreement with Arianespace to use 21 Soyuz launches in deploying the OneWeb Constellation for global connectivity. Options also are placed for five additional Soyuz missions and three with the next-generation Ariane 6. Flight VS10, which is the third Soyuz launch success at the service of O3b Networks, raises the total number of satellites lofted to date by Arianespace beyond the 500 mark. Arianespace’s Soyuz Flight VS07 from French Guiana orbits Sentinel-1A, the initial Earth observation spacecraft in the European Commission’s flagship Copernicus program. Europe’s Gaia billion-star mapping spacecraft is lofted on Flight VS06, marking the 25th spacecraft dedicated to science launched by Arianespace. 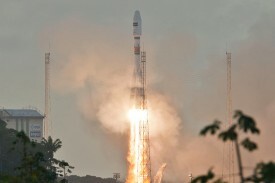 Arianespace helps bridge “the digital divide” by launching O3b Networks’ first four connectivity satellites on Soyuz’ fifth mission from the Spaceport in French Guiana. The Pléiades 1B optical imaging satellite is orbited on Soyuz’ fourth mission from French Guiaia, joining Pléiades 1A – which was launched by Soyuz from the Spaceport in December 2011. Soyuz’ third Spaceport mission for Arianespace orbits two more In-Orbit Validation (IOV) satellites for the European Galileo navigation system. The Spaceport’s second Soyuz mission for Arianespace demonstrates this launcher’s flexibility by deploying a total of six satellite payloads: the Pléiades 1A dual-use, very-high-resolution satellite; the Chilean SSOT defense/civilian imaging satellite; and four ELISA micro-satellite demonstrators for defense-related electronic intelligence gathering. For the first time at the Spaceport, flight preparations are underway in parallel for each member of Arianespace’s complete launcher family operating from French Guiana: the medium-lift Soyuz, heavy-lift Ariane 5 and lightweight Vega. This activity includes the assembly of Soyuz’ first three stages in the MIK integration facility, and checkout of its Fregat upper stage in the S3B clean room building in advance of Arianespace’s December 16 mission with a multi-passenger payload. Arianespace’s launcher family is a reality as operational versions of Soyuz, Ariane 5 and Vega are present for the first time in French Guiana, positioned for upcoming missions. 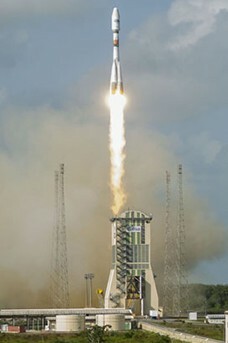 The second medium-lift Soyuz to be launched from the Spaceport, which is being prepared for a December 16, 2011 liftoff, is joined by an Ariane 5 for the VA205 mission in early 2012 with Europe’s third Automated Transfer Vehicle, along with the no. 1 Vega for this lightweight launcher’s VV01 qualification flight in January 2012. Arianespace opens a new chapter in space history with a milestone double mission success that marked the Soyuz launcher’s inaugural flight from French Guiana, and which placed Europe’s first two Galileo navigation satellites into orbit. The second launch campaign for a Soyuz mission from French Guiana begins, putting in motion the preparations for a mid-December 2011 liftoff with the French CNES space agency’s Pleiades optical Earth observation satellite, accompanied by five supplemental payloads. This activity is performed in parallel with preparations for Soyuz’ maiden flight from the Spaceport, which is set for October 20. Launch campaign activity begins for the first Soyuz mission from French Guiana, which is scheduled for liftoff on October 20 with a payload of two In-Orbit Validation (IOV) spacecraft for Europe’s Galileo satellite navigation system. This mission is designated Flight VS01, using Arianespace’s numbering sequence for its growing launcher family. Launchers to be used for the Spaceport’s first two Soyuz missions arrive this week in French Guiana aboard the MN Colibri roll-on/roll-off sea-going ship. One will be earmarked for the October 20 liftoff with a pair of Galileo navigation system satellites. Soyuz performs a highly-realistic "virtual" flight from French Guiana, using the first fully-assembled Soyuz on the Spaceport's launch pad, and with European/Russian teams manning the launch and mission control rooms. Soyuz makes its world debut at the Spaceport as it rolls out to the launch pad for the first time during a “dry run” exercise replicating all aspects of the Russian-built launcher’s final preparation phase for missions from French Guiana. The purpose-built mobile gantry for Soyuz at the Spaceport performs its first rollout to the launch pad. Six Globalstar second-generation satellites are successfully orbited on an Arianespace Soyuz mission from the Baikonur Cosmodrome in Kazakhstan. Conducted by Arianespace’s Starsem affiliate, this flight utilizes using the improved Soyuz version to be introduced at Europe’s Spaceport in 2011. The no. 1 Soyuz assembled at the Spaceport completes its initial phase of integration with the mating of its four first-stage strap-on boosters to the Block A core second stage. Soyuz launchers operated from the Spaceport in French Guiana will orbit the first 10 spacecraft in Europe's planned Galileo satellite positioning system, based on a contract signed by Arianespace. 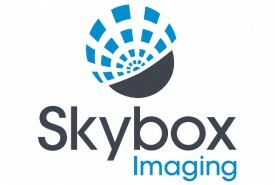 These spacecraft will be orbited starting in December 2012.